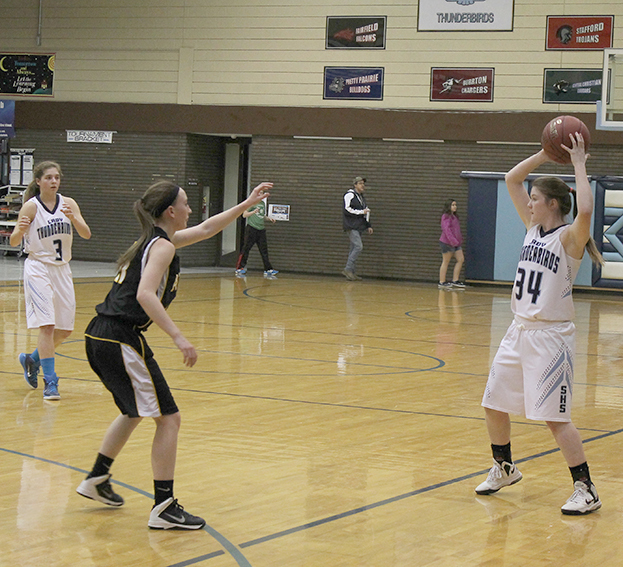 Sophomore Drew Thornburg looks for a teammate to pass the ball to against Attica. The girls lost 50-26. With the end of the regular season winding down, both basketball teams are preparing for Sub-State.